Cryptography provides for the secure and private concealment of information between parties, in which if messages are encrypted properly, they may only be deciphered and read by the recipient and the sender. Unauthorized access to encrypted information, will not result in a deciphering of concealed contents. Cryptography has been around for thousands of years and is not a new concept. The ancient Egyptians used cryptology as a method of dispatching important messages to their top generals in times of war. During ancient times the encrypted messages usually involved switching regular letters with symbols or different markings, which designated those letters. The recipient of the coded message understood the meaning of the symbols and could decipher the original message by utilizing those symbols. Cryptologic innovation has been evolving ever since. In today’s modern technological world the only thing that has changed is the methodology for encrypting and decrypting messages. The growing awareness of blockchain technology and the development of crypto-currencies, has resulted in an increasing interest in modern cryptology. Today people communicate primarily through machines like computers, tablets and mobile phones. These machines reorganize the original information into code instructed by a program. This code is incomprehensible to individuals until it is converted back to its original state. Let’s take a moment to better understand its key components, which are known as encryption and decryption. Both of these terms are closely related and often used in conjunction with one another. Encryption is the process or method of modifying or converting normal digital information into programming based codes to avoid unauthorized access and to increase privacy. Hackers or unwanted parties cannot access it. Users sending the encrypted data are known as the source. Decryption is the procedure of deciphering and decrypting the coded data back into its original readable form. Users receiving and converting the data are referred to as the destination. The nature of encryption is instantaneous and happens automatically once the information is transmitted between the two machines. Decryption is also automatic but has the ability to be performed manually as well. Both techniques of encryption and decryption can be categorized in the area of cryptology, which is a mix of cryptography and crypto-analysis. Cryptography primarily works with coding techniques to scramble messages to make them unintelligible to third parties, cryptoanalysis reorganizes the scrambled information into a readable format. 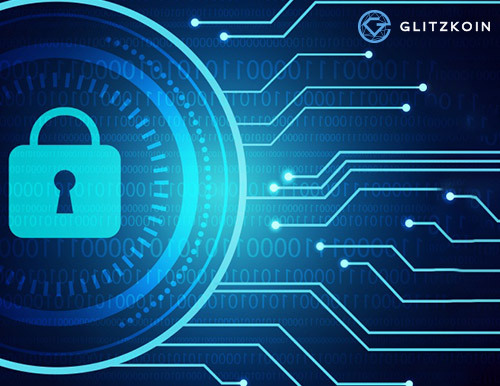 GLITZKOIN recognizes the advantage of blockchain security and is developing a diamond blockchain platform with a cryptology mechanism. The objective is to provide a more transparent, secure and efficient mechanism to track and trace diamond transactions. The ability to provide a more secure digital platform where no one individual can retroactively change or hack the data will reduce instances of fraud and increase transparency.